I think life on pinterest and Facebook and instagram makes us think it has to be, but it’s not. It’s easy to get caught up in over planning and wanting our kids to have the BEST. TIME. EVER! Honestly, sometimes… a lot of times, I put off hosting that playdate because I think it’s going to be hard and complicated. But it’s not. I know what every kid wants on a playdate, after watching my boys have fun for hours this past week. Kids are simple, and simply they just want to have fun. And fun is a wide open category! The kids and I just enjoyed a super fun, lazy last days of summer playdate with my blogger friend Brett from Thismamaloves.com! They want a little sun. And maybe, a little rain. So when the weather app says 67% chance of rain, don’t cancel! And maybe you’ll even get a little of both, like we did: a real sun shower! Kids want space, a place to run. Give them a field, a backyard, just so long as they can be free to romp. Kids want to dance! Bubbles and hula hoops and singing their own songs. They want to explore! Climb! Swing! Build! They want to run in and out of the house and doors will bang or be left open, and we will shut them a million times without a word, leaving their play undisturbed. And the artsy ones want to draw (she made our cool and colorful signs! ), and the daring ones will go as high or fast or far as they can. And babies climb on laps, toddlers play with the big kids. I hope you did. I hope you saw their smiles. Heard their laughter. Isn’t it time we stop worrying about picture-perfect playdates, about elaborate games and just… come out to play? Because guess what… when we did JUST THAT? We had the BEST. TIME. EVER! That’s exactly what we did at Brett’s house this past week. We got together, a bunch of moms and our kids. Threw a cloth on the porch table. Put out water, fruit, and some healthy snacks graciously provided by CLIF. The kiddos loved choosing their favorite flavors! The kids played. We talked. They piled in to eat snacks. See. It’s so simple. That’s all kids want on a playdate! Fun and food! PIN THIS–>> to your preschool or kids’ activities Pinterest board to share and inspire lots more outdoor play! There’s lots of easy ways to get kids out to play! Nutritional tips and info on the best snacks for kids at various times of their day and play! Encouraging words about the importance of play! I know these tips will help us as moms get our kids outdoors to play more often! I just want my kids to be kids and enjoy the great outdoors. Whether that’s a cool new neighborhood park, or your own backyard, or a pile of sidewalk chalk in the city! Zbar Protein – organic whole grains plus 5 grams of protein! Zfruit – organic fruit snack with a tangy flavor twisted into a neat rope stick that is fun to eat! Zfruit + Vegggie – tangy and chewy, organic fruits and veggies blended together – great source of fiber and Vitamin C! How will you get your kids out to play and enjoy the rest of your summer!? What about other seasons of the year!? This post was sponsored on behalf of CLIF Kid via One2One Network. 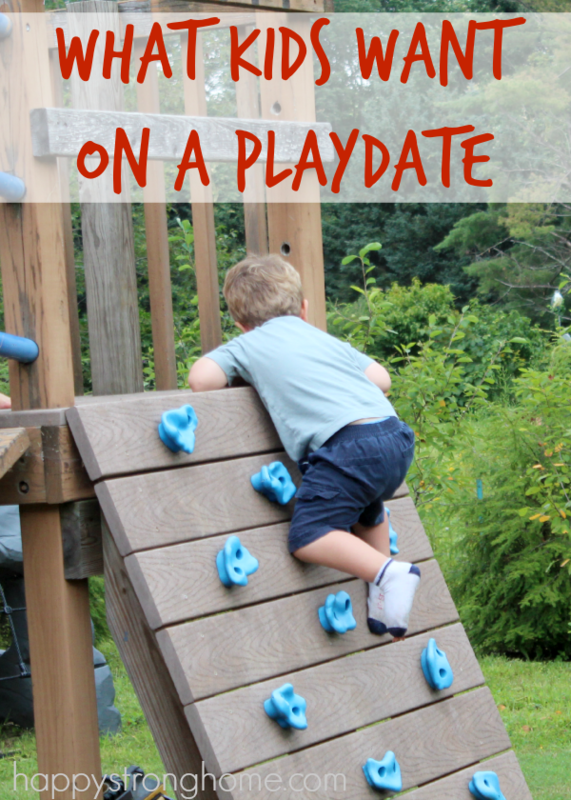 All opinions about what kids want on a playdate and the importance of play are my own. so much fun to host a playdate WITH you and the boys! !